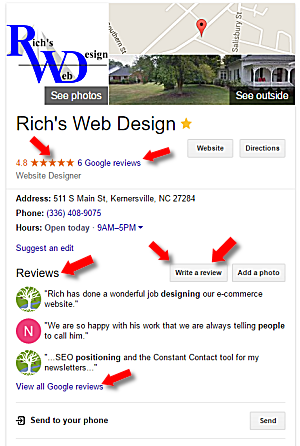 Do a search for [your location] + [your business] on Google and see what shows up in the right column. This is produced by Google based on your ‘Google+ for Business’ page, a.k.a. Google Maps, Google Local, etc. Most importantly, double check and see that EVERYTHING is perfectly accurate. If not, please send me any changes; I will go into your Google+ admin area and make the necessary changes. For an increasing number of search queries requesting factual information, Google is returning answers at the top of search results pages that don’t require any click-through by the searcher. This could be seen as a serious threat to sites that have been accustomed to getting organic search traffic by providing that kind of information. However, other webmasters see Google’s direct answers in search as a new opportunity to get a jump on the competition and become featured for free by Google. One doesn’t need to move all of your FAQs to your main page, but sprinkle a few questions / answers on your main page. These are nice snippets that Google MAY like and include. What questions do you see EVERYDAY from your potential customers? Ask and answer these on your main page! 1. KW matching, synonyms, related terms, related topics – Are you including EXACT match for your key words / phrases? How about some synonyms or related phrases? 2. 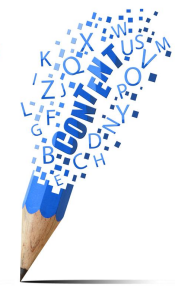 Content length, comprehensive content – Within reason, the more content you have, the better your site will rank. 3. Brand name / site name used in the content – Make sure you use your brand name / business name mixed into your content. 4. Semantic usage – Do you use similar language to emphasize your points? Google is constantly using semantic language to identify the true meaning of your content. 5. Visuals / interactive tools / video – Charts and graphics are nice, but videos are even better. 6. Accuracy and validity of content – How accurate is your content? 7. Phrase and sentence structure – Do you vary the sentence structure in your various paragraphs? Who has seen the new RWD refreshed site? Opinions? Copyright © Rich’s Web Design. All Rights Reserved.